This beautiful home in Troy, Vermont is nestled in a beautiful country setting - it's our Deal of the Week! Located just a few minutes from Jay Peak Resort, this three bedroom, two bath home has an abundance of natural wood and windows to let in the light. Open floor plan features living room with cathedral cedar ceilings, hardwood floors and a wood stove. The dining room opens to the kitchen and both have exposed ceiling beams. A bedroom and full bath complete the first floor. Upstairs you'll find two more bedrooms, another full bath and additional loft space. Laundry and additional space to be finished to your liking are on the lower level. The detached two car garage has storage above. This 11.8 acre property also includes a horse and equipment barn, riding ring, multiple pastures and park-like woods with a stream and pond on site. Offered at $329,900. Click here for more information and contact Tyler Dupuis to see this property. You are going to fall in love with this wonderfully restored Dutch Colonial home in Troy, Vermont - it's our Deal of the Week! This four bedroom two bath home has been lovingly renovated right down to its studs - new wiring, insulation, windows, drywall, flooring, paint, fixtures & appliances and additional living space. Enjoy all of the modern conveniences. Chef's kitchen has custom cabinets, farmhouse sink, soapstone countertops, center island with 5 burner down draft propane cook top and stainless steel appliances. Living room with a beautiful stone propane fireplace, hardwood floors and tin ceilings plus original restored light fixtures throughout. You simply have to see this house - you won't want to leave! Attached garage and landscaped yard. Wonderful year-round or vacation home is only minutes to Jay Peak Resort, I-91 and Canada. Recent price reduction makes this a real deal at $199,900. Click here for more information and contact David Kennison to schedule a private showing. Don't pass this one by! Deals like this don't come along often - take a look at this gorgeous home in Troy, VT - it's out Deal of the Week! This large (3,010 sq ft) home sits on 10+ acres and is just minutes to Jay Peak Resort. Its numerous features include a spacious open kitchen with Corian countertops master suite with walk-in closet and bath with an air tub, shower and his & her sinks, and in-ground pool. There are an additional 3 bedrooms, 2 more baths and full unfinished basement for expansion. The attached 4 car garage provides even more space. Offered at $299,500. Want more property? Available on 22 acres for $319,500. Click here for more information and contact Nick Maclure to see this home. 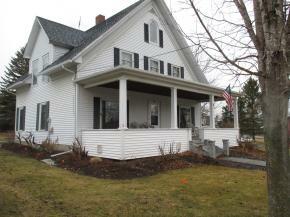 This wonderful country home in Troy, Vermont can be yours - it's our Deal of the Week! This home is located on 7 acres in a quiet neighborhood and is close to Jay Peak Resort and both the VAST & VASA trials. The large (1,638 sq.ft.) home has living area with cathedral ceiling, den with fireplace, large eat-in kitchen and bed and full bath on the first floor. Upstairs you'll find 3 more bedrooms and another full bath and a loft office/sitting area. Not enough room? There is potential for even more living space over the attached 2 car garage. Updates include a newer roof and dormer and new garage doors with openers. The yard features a nice lawn and apple orchard. This home was JUST REDUCED $10,000 and is ready for its new owner, at $149,000. Now is your opportunity to make this your full time or vacation home! Click here to take a 3-D tour and contact Dan Maclure to see this property, live! 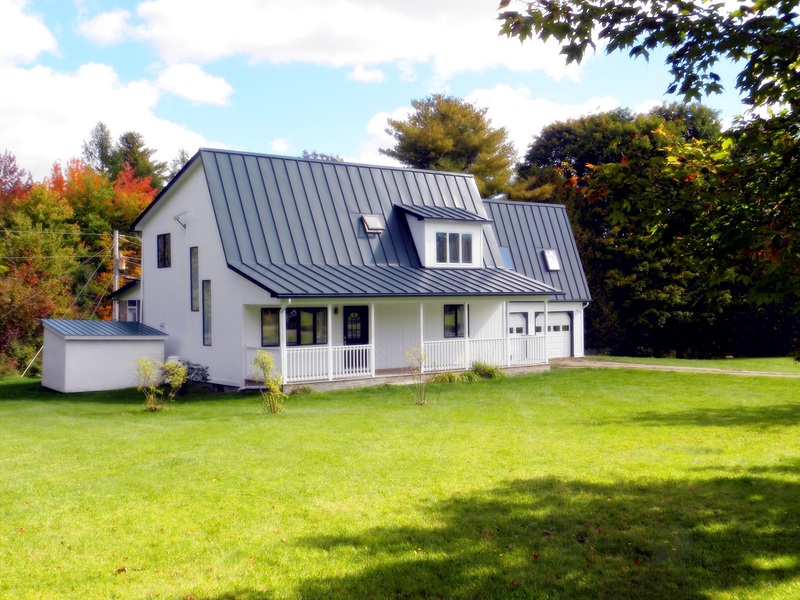 You have just got to see this Contemporary home on 10.1 acres in Troy, VT - it's our Deal of the Week! This property has so much to offer, starting with the chef's kitchen, living room with fireplace, family room and indoor hot tub. Three bedrooms and 1.5 baths complete the first floor. Moving upstairs you'll find the private master suite, complete with walk-in closet and bath. New Pergola facing Jay Peak (and the views are spectacular!) as well as a separate covered porch overlooking your own private pond. Includes a large detached garage/warehouse with a finished in-law suite above. Use for a home business, guest suite or recreation room. The property is well suited for gardening with open meadows for animals and is conveniently located just 15 minutes from both Newport City and Jay Peak. All of this for $299,900. Want more land? The property is also being offered on 36.5 acres for $339,900. 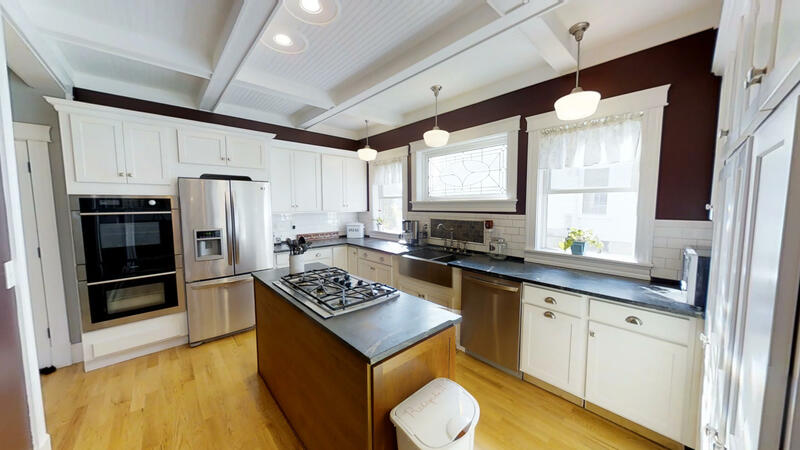 Click here to take a 3-D tour now and contact Nick Maclure for a live showing. Check out this five bedroom two bath home in the village of North Troy, Vermont - it's our Deal of the Week! Just minutes to Jay Peak resort, this home has beautiful hardwood floors, a large porch that overlooks the town common, updated electrical, almost new roof and vinyl siding. Two car detached garage has storage above. This would make a perfect year-round or vacation ski house! $139,900 Click here for more information and contact Bruno Marquis to see this pretty home while it lasts! This wonderful property on 8.34 acres in Troy, Vermont is our Deal of the Week! Main house has four bedrooms and 1 3/4 baths. Hardwood floors in the kitchen, dining and living rooms and gorgeous stone chimney and fireplace. Lovely screened in porch, wrap-around deck and one stall garage. Included in this property is a renovated barn that sits away from the main house and has a very tastfefully designed 950 square foot apartment on its second level with a garage & storage below. The land is a nice roadside meadow and the back is mainly hardwoods. This property is close to Jay Peak Resort and would make a great year-round home as well as investment property; $275,000. Click here for more details and contact Bruno Marquis to see this property. Beautiful 4 bedroom/3 bath Custom Post & Beam Home in Troy, VT - it's our Deal of the Week! You are sure to fall in love with this picturesque home - from the chef's kitchen & 1st floor master suite, to the multiple living areas. This home has a new architectural roof, new upstairs bathroom, cathedral ceilings and lots of windows to let in the natural light and views. Gorgeous screened in porch and in-ground pool. Attached 2+ car garage has a loft above to use as you wish! All of this, on 81+ acres and conveniently located between Jay Peak Resort and Newport. Come and see this home - you will not want to leave! $434,500 Click here for more information and contact Nick Maclure to see this home.